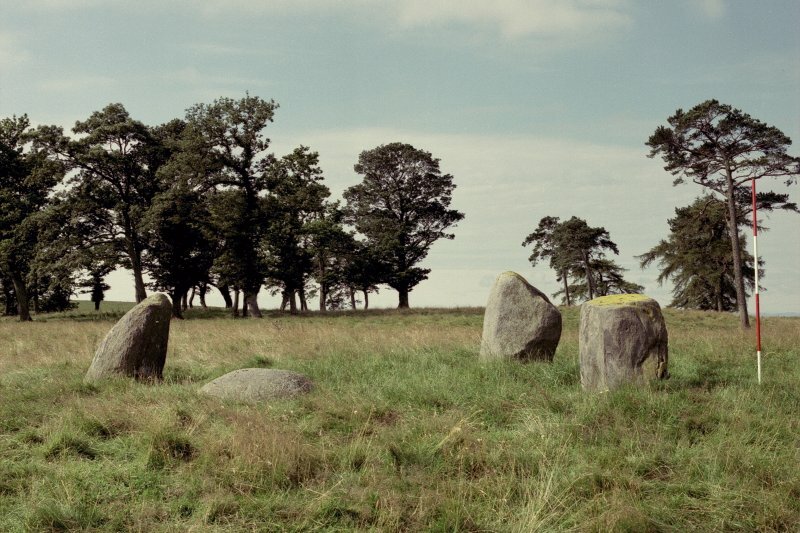 Publication drawing; Parkneuk four poster stone circle. Scanned copy. General shot of Parneuk, East of Rattray. 'Four-poster' datable to c.1800 BC. A four-poster as illustrated by Coles. There is no suggestion of a platform or mound. 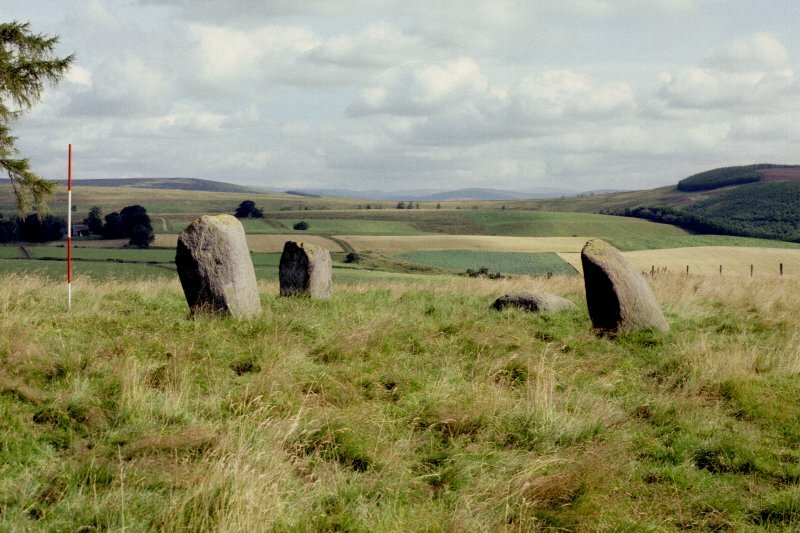 Three stones remain upright, the largest, 1.3m high, in the W.
This four-poster stone circle lies on gently sloping rough pasture on the SW shoulder of an unnamed hill. 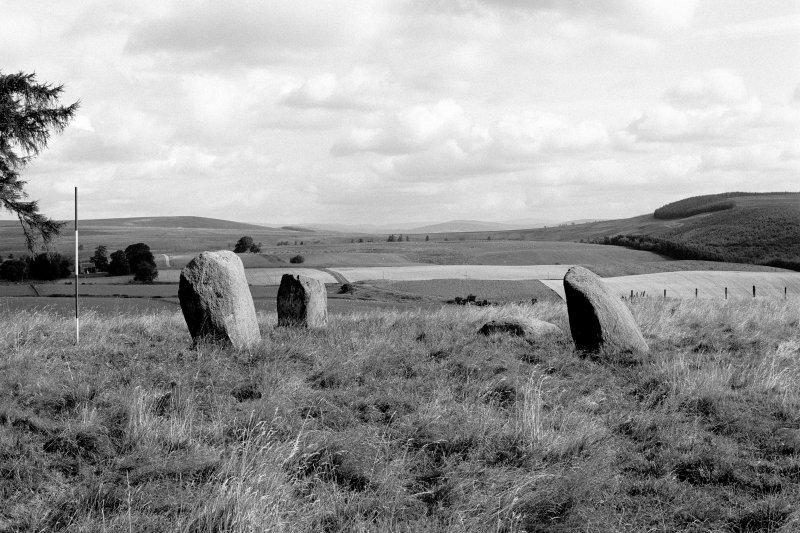 Three stones (A, B and D) remains upright, while the fourth (C) has fallen. 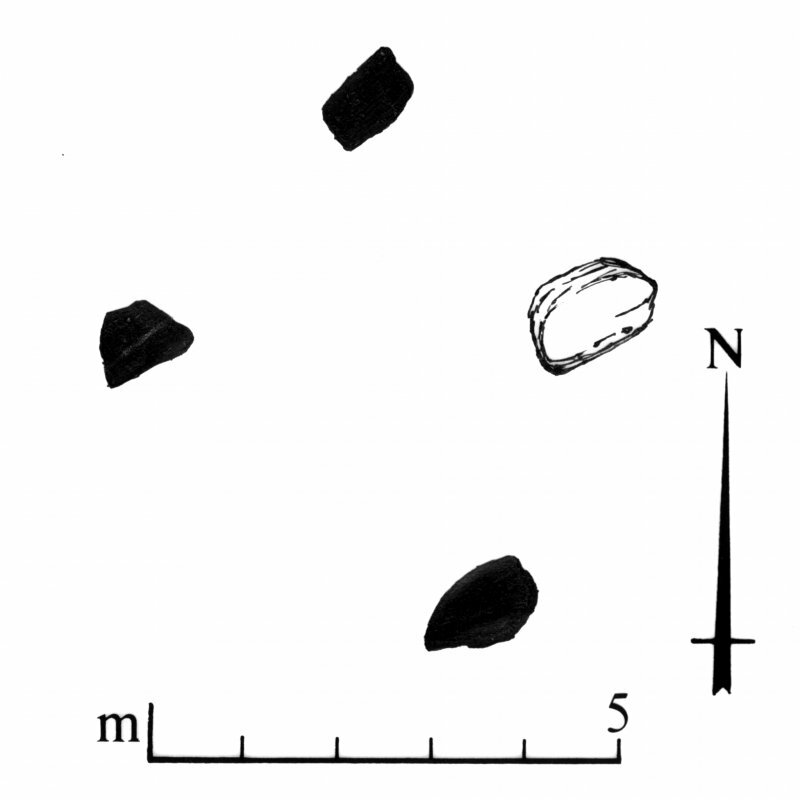 The stones are placed at the corners of a trapezium with the long axes of stones A, B and D parallel to the short axis of the setting. A and D are the largest stones, measuring 1.38m and 1.2m in height respectively, and B stands to a height of 0.9m. 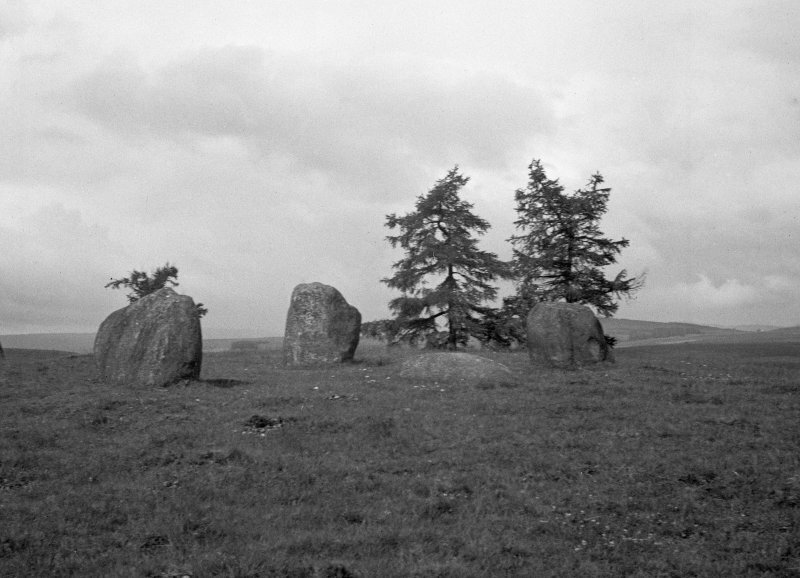 The upper parking stones of A and D have been revealed in sheep scrapes, and B has been damaged by a recent fire built against its inner face. Visited by RCAHMS (JBS) October 1986.